Some of the above effects due to poor IAQ may show up shortly after a single exposure, or after repeated exposure. A person’s reaction depends on their sensitivity, which obviously varies from person to person. Some people can become sensitized to biological or chemical pollutants after repeated or high level exposures. Others may not. It’s important to note when symptoms do occur, it’s often difficult to distinguish between IAQ issues and colds or other viral diseases. If symptoms fade or are reduced when a person leaves an area, chances are that it’s something in that area causing the problem. 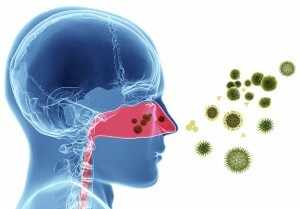 Some effects may be made worse by a lack of adequate outdoor air coming into the building or home. They can also be made worse because of heating, cooling, or humidity conditions. While pollutants commonly found in indoor air can have many harmful impacts, there is considerable uncertainty about what concentrations or period of exposure are necessary to produce specific health problems.